ORWELL, Vt.—On Saturday, May 5, 2018, come to the Mount Independence State Historic Site in Orwell, Vermont, for a special pre-season guided history walk from 1:00 to 3:30 pm. Early May before the leaves are out is the perfect time of year to see the remains and traces of the defensive works built in 1776 and 1777 for the American Revolution. Hike leaders are Revolutionary War expert and long-time reenactor Mike Barbieri, Mount Independence Coalition president Stephen Zeoli, and site administrator Elsa Gilbertson. The center of three cannon batteries built on the southern end of the Mount will likely be one of the stops along the hike. 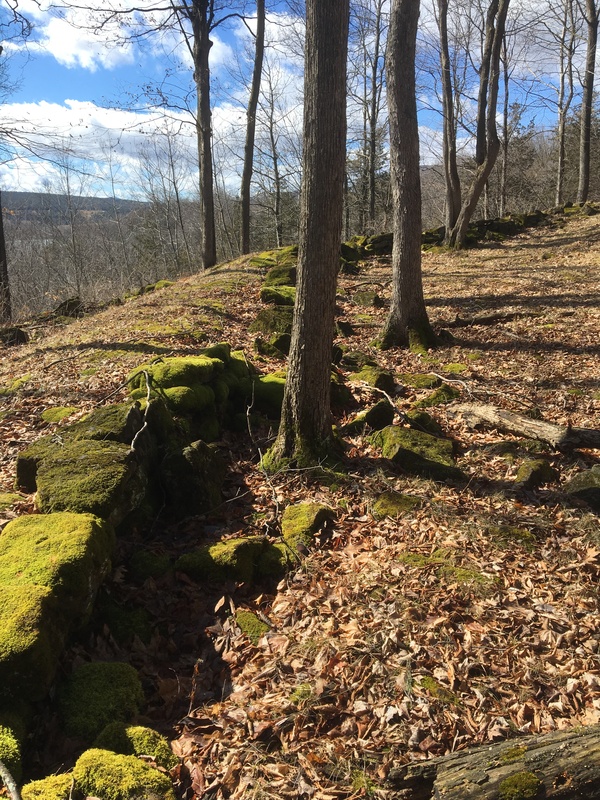 The walk will cover why Northern American Army leaders decided to build this major defensive system on the rocky peninsula they described as “strong ground.” We’ll look at some of the many places of interest for the soldiers of 1776 and 1777. There will be several stopping points for those who may want to peel off early or walk the trails on their own. This is the first of many programs scheduled for 2018. Meet at the museum for orientation. Wear sturdy shoes or boots, be prepared to go off trail, dress for the weather, and bring water if you like. This special event brings you to Mount Independence before it opens for the regular season on Saturday, May 26. The program is co-sponsored by the Mount Independence Coalition and Vermont Division for Historic Preservation. Admission is $5.00 for adults and free for children under 15 and Coalition members. Call 802-759-2412 for more information. The Mount Independence State Historic Site is one of the best-preserved Revolutionary War archeological sites. It is located at 497 Mount Independence Road, six miles west of the intersections of Vermont Routes 22A and 73 near Orwell village. Carefully follow the signs. Regular hours will be 10:00 a.m. to 5:00 p.m. daily, May 26 through October 14.